During The International Surface Event (TISE) in Las Vegas, the NWFA officially launched an industry-wide initiative to promote real wood flooring to consumers. The “Real Wood. Real Life.” campaign provides homeowners with information about choosing the right floor, selecting a professional for the job, and conducting maintenance properly. There has been a great response from NWFA members and industry partners, who have stated that the initiative is something the wood flooring industry has needed for a long time. Part of this effort was clarifying for both the industry and consumers what is and what is not a wood floor. Michael Martin, NWFA President & CEO, notes that the NWFA Board of Directors and task force put a great deal of thought into the formal definitions of wood flooring that were announced late last year. The group included representatives from across the wood flooring supply chain. Engineered wood flooring is real wood from top to bottom, normally made using multiple wood veneers or slats of wood glued together at opposing directions. any floor that had a real piece of wood on the wear layer,” said Martin. 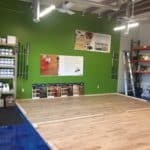 “Regardless of what’s on the back – composite, plastic, resin, or otherwise – as long as it has a real wood surface, it falls under the definition of a real wood floor. What is not included in our definition of real wood is a photograph of wood on a piece of paper that is sealed onto a piece of plastic. 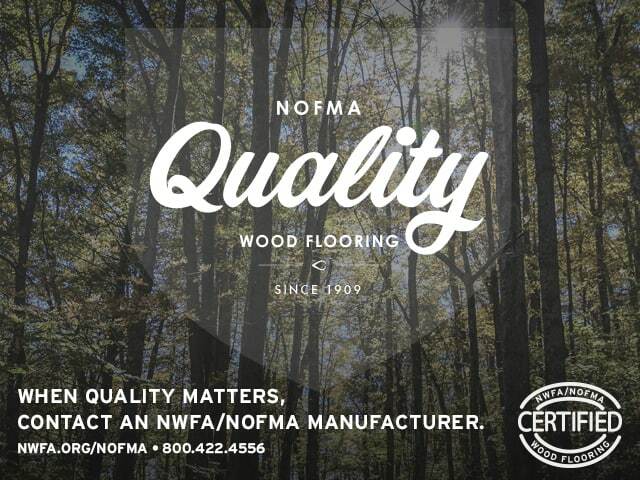 Following the campaign’s launch, public relations efforts are underway and NWFA is working to engage its members to help spread the word about real wood. NWFA hosted a well-attended webinar in early February to share details about all of the offerings in the “Real Wood. Real Life.” marketing toolkit and how they can be used. If you missed it live, a recording of the webinar may be viewed by visiting nwfa.org. The marketing toolkit materials make it easy to spread the word. Most materials are plug and play, and you can use as few or as many of the items as you like. The “Real Wood. Real Life.” logo can be used on websites, social media channels, marketing materials, and even real wood products and packaging. Website ads and print ads can be customized with a company logo. Signage is available that may be printed and displayed in your booth at a trade or home show to promote real wood to those audiences. Social media posts are included and cover a variety of topics to share information about real wood with your followers. The new Homeowner’s Handbook to Real Wood Floors provides information about the benefits of wood flooring, how to choose the right floor based on lifestyle, and proper maintenance. It walks consumers through the various stages of life to show them that wood floors can handle all of their big and small moments. 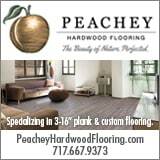 It can be found on woodfloors.org and printed copies can be purchased with your company logo. Other items to share directly with clients are the wood floor fact sheets, which focus on the following topics: Caring for Wood Floors Is Easy; Environmental & Health Benefits of Wood Floors; Value of Wood Floors; and Wood Floors Are Durable. These one-pagers are also easy to customize with your company logo, to download and to print, and they provide details about the benefits of real wood in a visually appealing way. 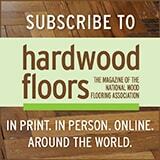 Finally, homeowners can be directed to visit our updated website, woodfloors.org. They can view the Homeowner’s Handbook to Real Wood Floors there as well as tips for choosing wood floors and caring for them after installation. The NWFA will share additional updates about the campaign during its Wood Flooring Expo, May 1-3, 2019, in Fort Worth, Texas. An education session focusing on the marketing toolkit materials is scheduled for May 3, 2019 from 9:45 a.m. to 10:45 a.m. Join us if you want to learn more about participating in the campaign and to see some examples of how your industry cohorts are spreading the real wood message. NWFA members can download the “Real Wood. Real Life.” marketing materials by visiting nwfa.org.